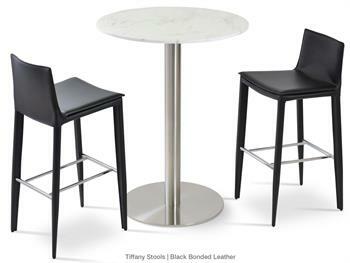 Soho Concept Tiffany Stools are stylish modern barstools and counter stools with a comfortable bonded leather seat and backrest with steel tube frame structure wrapped in leather. 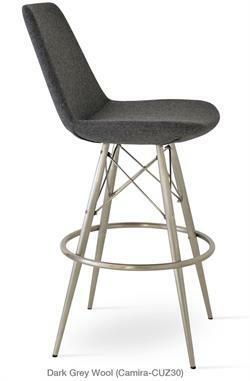 The stylish and modern Tiffany Seating Collection, designed by Soho Concept Furniture, includes the Tiffany Dining Chair, Tiffany Armchair, Tiffany Barstool and Counter Stool and Tiffany Piston Stool, all on this website. Tiffany Stool has a slightly padded seat and chromed steel footrests. 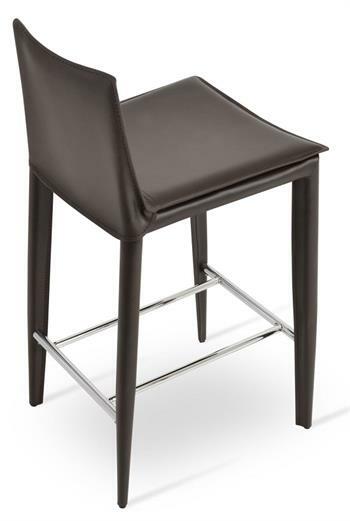 The seat is upholstered in leather. 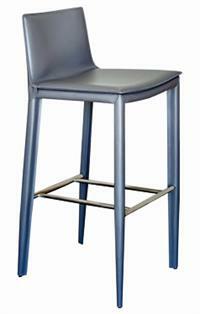 Each leg is tipped with a plastic glide inserted to the metal tube. 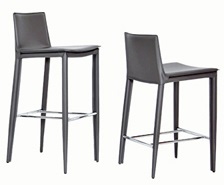 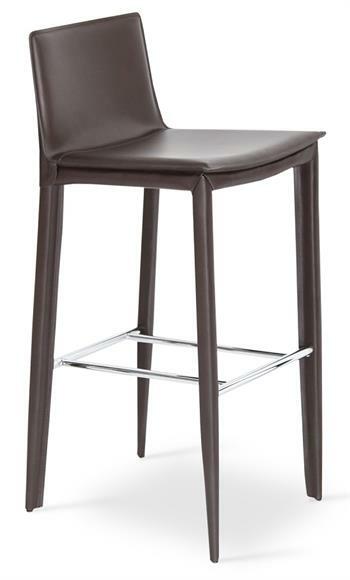 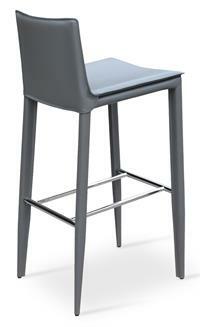 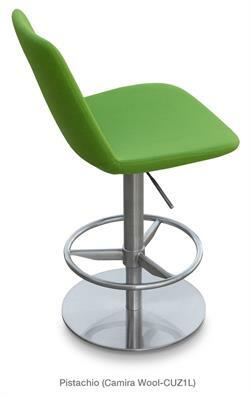 The Tiffany barstool and counter stool is suitable for both residential and commercial use. 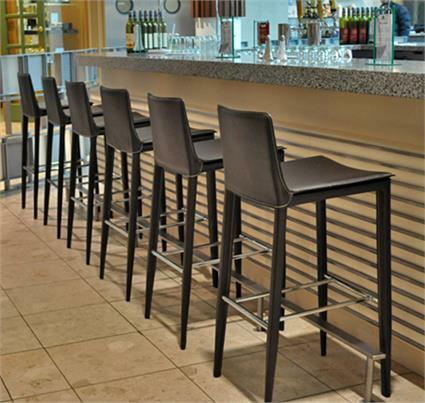 Soho Concept Furniture is a residential and commercial contemporary furniture manufacture which aims to bring the true meaning of quality modern furniture design and value to end users and designer communities. 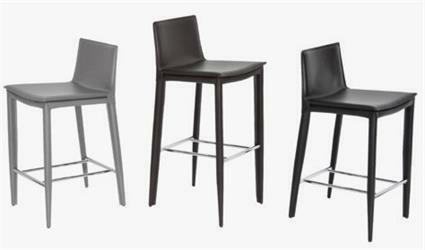 Soho Concept Furniture offers dining chairs, side chairs, lounge chairs, club chairs, dining tables, coffee tables, side tables, barstools, counter stools and sofas for home furniture, office furniture, bar furniture and restaurant furniture settings. 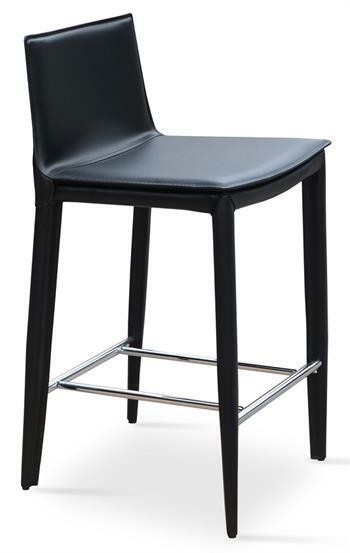 Tiffany Stool uses bonded leather which has a completely smooth texture produced by a manufacturing process that compresses the leather fibers. 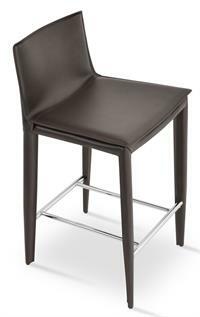 This type of leather is a popular choice because it is hard wearing, strong and has a smooth matte finish. 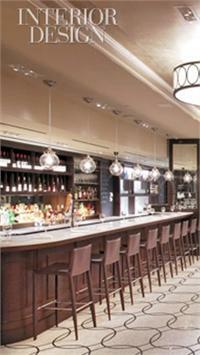 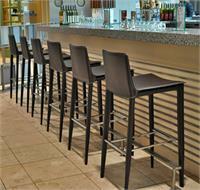 Good for residential and contract markets, particularly for home bars and commercial seating for bars and restaurants. 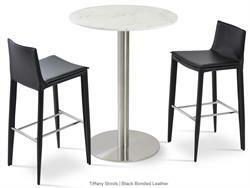 Accurato is an authorized modern furniture dealer for Soho Concept Furniture. 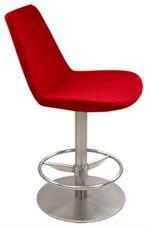 We carry the FULL line of Soho Concept barstools, counter stools, dining chairs, lounge chairs, club chairs and sofas.